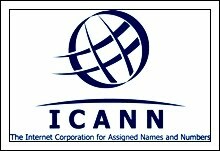 Internet Corporation for Assigned Names and Numbers (ICANN) has recently approved allotment of new generic top level domain names (new gTLDs). With this brand and trademark owners can now register their brands and trademarks as the gTLDs. However, this process would also witness many techno legal issues as well. Issues of cyber squatting and domain names violations, brands violations, trademark violations, ensuring security of new gTLDs, etc may arise. Further, many unforeseen challenges that cannot be anticipated and warned against may also arise in future. If a person or organisation thinks that the filing of a gTLD application would be an easy task he/it would be greatly surprised. ICANN is in no mood of allowing “casual filing” and only the applicants “proving bonfide claims” would be granted the new gTLDs. In short, with an increase in new gTLDs registrations, issues like domain names protection, brands protection, trademarks protection, cybersquatting disputes resolution, cyber law compliances, cyber security requirements, cyber due diligence, etc would also arise. Brand owners and trademark owners must prepare their “strategy” in this regard well in advance. The new gTLDs application process would start from 12 January 2012 to 12 April 2012. Brand owners and trademark owners need to ensure “due diligence” in this regard as soon as possible as that would give them additional time to ensure that their applications are accepted. ICANN is also planning a global outreach policy to raise awareness in this regard. Perry4Law and Perry4Law Techno Legal Base (PTLB) believe that applying for and getting a new gTLDs requires well planned techno legal strategy. A company or individual desiring to apply for the same need to analyse all the possible strengths and weaknesses of his application well in advance. While the strengths must be further improved special work need to be done upon the weakness of such future application. Perry4Law and PTLB wish all the best to future gTLDs applicants. This entry was posted in Uncategorized on June 30, 2011 by PTLB.